Out of the Mouths of Babes: Polemic Around "With a Closed Fist"
Free Press Agency of Point St. Charles, November 17, 2011. 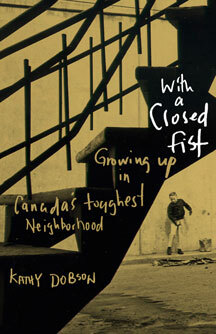 Kathy Dobson's new book "With a Closed Fist: Growing up in Canada's Toughest Neighbourhood" has been causing quite a buzz in Point St. Charles. Notwithstanding the polemic (or because of it? ), the Book Launch held at St. Columba House went smoothly. Lots of people from the English community came out to the event. In response to all this, Kathy Dobson published an "An Open letter to the People of Point St. Charles" in which she recognizes that some people might feel offended by her story, but also says that “this is only one person’s story, and a very personal one at that. I would never presume to speak for anyone else”. She also encouraged others to share their stories. Another book, published in 2006, is the result of a collective oral history making project that took over five years to complete. 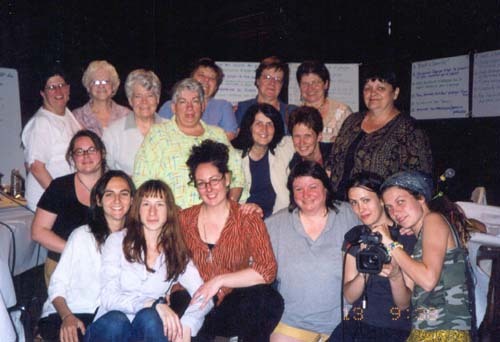 The book is a weaving together of the stories of a group of women, long-time Point residents, who were actively involved in the community in the 1970s and beyond, alongside Eileen Dobson. Their stories touch the themes that 8-year Kathy talks about. They talk about their poor housing conditions, the poverty, the lack of proper health, education and legal services, the lack of adequate leisure activities and green space. They talk about discrimination and violence against women. But they also speak of hope, of change, of strength. They share how they were involved in the setting-up of a vast network of organizations and services to defend their rights and improve their quality of life. They tell the story of the citizen initiatives that made Point St. Charles a precursor in the development of community organizing in Quebec: one of the first people-run community health clinics, a legal aid clinic, a food coop, an adult-education group, housing cooperatives, welfare rights groups and community economic development initiatives. They talk of their “love-hate” relationships with “feminist agitators”, middle-class students from McGill and Marxist-Leninist groups of the 1970s who entered – or invaded – their lives in their efforts to change the world. They share how, at the heart of these struggles, these citizen initiatives, were women who played leadership roles and who, with time, came to take a public stand, as women. They too, broke the silence, told their secrets. 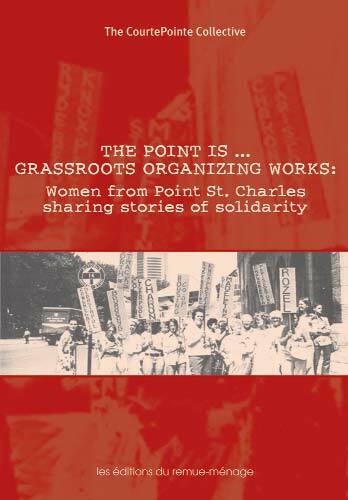 The book is entitled "The Point is... Grassroots Organizing Works: Women from Point St. Charles Sharing Stories of Solidarity" (by the CourtePointe Collective, 2006, published by les éditions du remue-ménage).